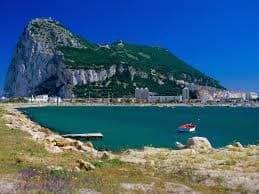 The tiny British protectorate of Gibraltar, the famed “Rock” attached to Spain at western end of the Mediterranean Sea, is actively weighing its political options following last week’s United Kingdom Brexit vote, in which the UK as a whole narrowly voted to exit the European Union. The fallout from the UK vote stretches far and wide, and it hits particularly hard in Gibraltar, where over the last decade, the prominence has become Europe’s de facto hub for online-gambling corporations to establish residence, due to favorable corporate taxation rules that have allowed dozens of the firms to operate virtually tax-free. That tax-free status was already threatening by several European countries’ ongoing plans to inplement so-called “point of consumption” legislation, particularly in the UK and Ireland. Since most of Gibraltar’s gambling firms are actually repatriated UK companies still serving the UK and other European nations, those POC laws already threatened the foundation that made Gibraltar so desirable. But now, with the Brexit “Leave” vote holding sway, Gibraltar itself faces a possible situation where its EU free-market access is threatened, with immense possible impact for the little protectorate’s economy, since online gambling has become the biggest slice of Gibraltar’s GDP over the last decade. Saying that Gibraltar is in a bit of a panic right now regarding its future EU status is a bit of an understatement. The prominence’s government has already been reported to be engaged in talks with Scotland’s leaders over some sort of secession from the United Kingdom, in which case both Scotland and Gibraltar would seek to remain as part of the European Union community. Such a split could conceivably involve Northern Ireland as well. Scotland was notable in its heavy favoring of the “Remain” Brexit option, but its margin there was actually dwarfed by the vote in tiny Gibraltar, where over 95% of the promontory’s citizens voted to stay in the EU. That’s not surprising when one considers that virtually all of the protectorate’s income — including the online stuff — is derived either from EU member nations in a physical sense (tourism), or via the free-trade benefits Gibraltar enjoys as a “special economic zone” EU member. In Gibraltar, all this adds up to something not quite an overnight crisis, but also something not too far from it. Local news reports suggest that Gibraltar would even pursue being part of some sort of co-sovereignty relationship with Spain — which already claims such over the protectorate — even at the risk of its UK-related benefits. Regarding the online-gambling industry in Gibraltar, specifically, that’s still not an ideal fix, since Spain itself is a firewalled EU nation which requires special single-nation licensing for the offering of online-gambling services. Given Spain’s relatively small population, most of the Gibraltar-based firms haven’t bothered. Another option, not widely explored in the press as yet, is that many of the Gibraltar-based firms could end up relocating to another EU member nation that also offers a friendly tax regime. Among the leading locales should that possibility become reality is the island nation of Malta, just off Italy’s southern tip. Malta itself has seen rapid growth in its online-gambling sector in recent years, and the Brexit situation may end up making that island’s econony an unexpected winner once the whole situation shakes out. None of this, of course, will happen overnight. Even after the United Kingdom exercises its Article 50 option to leave the EU, it’ll be at least two more years before any of these possible changes are forced to become reality, not even considering other possibilities, such as the UK reversing itself and remaining part of the EU, or of unusual trade agreements being negotiated between the UK and other European nations that somehow alleviate some of the problems facing Gibraltar’s online-gambling industry, not that the rest of Europe seems particularly incentivised to comply. But stay tuned, as that saying goes. The real fun is just beginning.